One of the most thrilling aspects of international travel is having the ability to step away from the popular tourist zones every once in a while and find places where one can experience how the locals live. In Beijing, one of the best ways to do that is to visit one of the many hutongs around the city. Perhaps no hutong is more interesting than Nanluoguxiang. A hutong is a long and narrow street or alley lined with shops and courtyard residences. Historically speaking, hutongs were originally formed when dozens of residents established their own courtyard residences known as siheyuan, organised into small neighbourhoods. Over time, residents began joining multiple siheyuan together to create larger family homes. The narrow alleys that sprung up between these larger residences became the neighbourhood thoroughfares now known as hutongs. 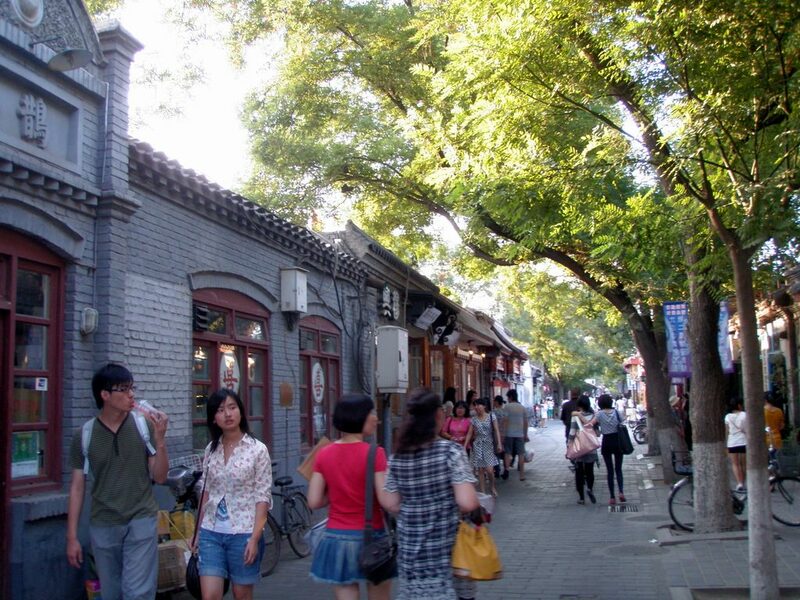 Nanluoguxiang Hutong is one of the top must-see places in Beijing, along with Wudaokou and the 798 Art district. Hutongs are very common in northern China, and particularly in Beijing. They tend to be so narrow that motorised traffic is limited. Most of the time they are traversed by either walking, bicycling, or with a scooter or motorcycle. At Nanluoguxiang, there are plenty of bike rentals. The hutong is so common in Beijing that you might get the feeling that seeing one is seeing them all. So what makes Nanluoguxiang so special? This hutong is a retail paradise along with being primarily residential. 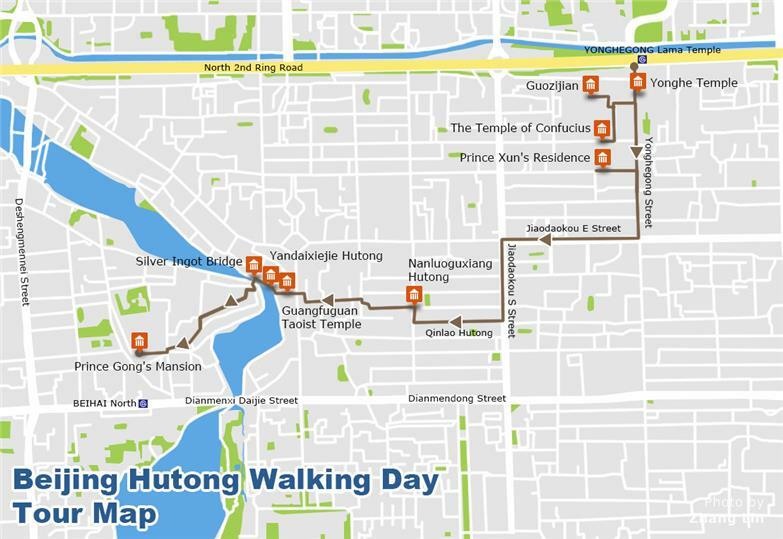 Running for about a half-mile from East Gulou Street to Di’anmen East Street in the city’s Dongcheng district, the founding the hutong and its surrounding neighbourhood date back to the middle 18th century. As a result, the alley is lined with a variety of structures that typify the ancient architecture of the Yuan Dynasty. There are literally dozens of small shops next to galleries and family-run restaurants ranging from the very traditional to the ultra-modern. And yes, there are even some shops and souvenir stands that cater to the tourists. Still, the main attraction for locals are the courtyard residences that truly give the neighbourhood its character. Experts say that if you really want to experience what courtyard living is like in China, there is no better place to see it than Nanluoguxiang. This neighbourhood remains the most complete example of the old-style courtyard atmosphere that once dominated northern China. As with most hutong neighbourhoods, the tourist action that does take place is mainly confined to the main thoroughfare. But eight additional alleys extend out from that main thoroughfare on which you will find some hidden gems. It’s not uncommon to enter the neighbourhood from either end, walk the length of the hutong, then catch a rickshaw at the other end to take you back and help you explore the smaller alleys at the same time. Nanluoguxiang is gradually becoming a popular tourist destination among those who want to see old Beijing as the locals see it. This is both good and bad. It is good in the sense that the neighbourhood is now easily accessible by way of the Nanluoguxiang subway station located near the south entrance of the neighbourhood. That station was built in 2012 specifically to accommodate tourists. The bad news is that Nanluoguxiang is becoming more and more crowded with every new tourist season. Those who want to avoid the crowds would do very well to visit Beijing in the off-season. 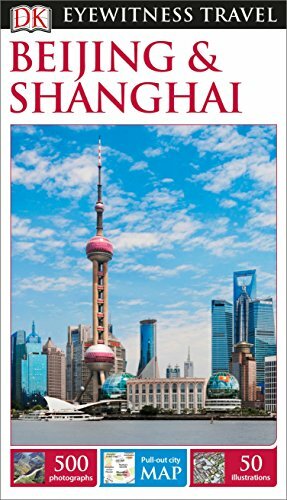 If you do go, be sure to visit the Grand Canal, the Drum Tower, and the Guang Hua temple – before or after you do your shopping. All three sites will truly give you a sense of what the old city used to be like. People love this place due to the amazing dumplings they produce. Stop by for the set lunch menu. Beijing, what a great place. I will surely visit there one day.